A little useful information for the discerning reader. If the police immediately say, “There’s no foul play” then it’s correct to suspect that foul play has taken place. Else how would police know before conducting any investigation? 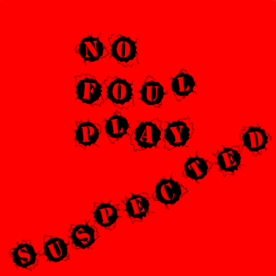 When “no foul play” is declared before an investigation has taken place, then the decision of “no foul play” was made before anyone could know whether foul play occurred or not. A little advice to the reader: Do not believe everything you hear.